The Century® Express, Vulcan® Intruder 2 and Chevron™ Renegade distance themselves with specially designed wheel-lift systems. 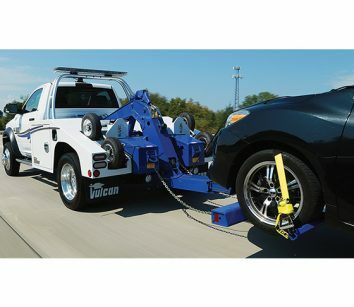 The Century® and Vulcan® Generation-2 wheel-lift provides both performance and ease of operation, while the unique Chevron™ AutoGrip™ 2 crossbar allows you to grab a tire with adjustable claws. 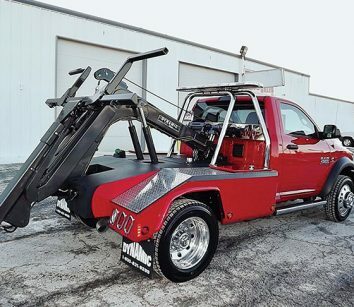 Other options include single or dual winches, a hydraulic recovery boom, multiple control options, limiter switches for the wheel-lift and boom functions, and steel, aluminum, composite, and poly-body modular body constructions. Call 800-292-0330 or visit MillerInd.com. The Fusion is a combination of the self-loading wheel-lift and perfect accessory organization. Designed with state-of-the-art virtual prototyping to waste no space while providing maximum visibility from the tower’s line of sight. Features 5,500-lb. wheel-lift capacity at 90’’ of wheel-lift extension, 25 degrees of negative and positive tilt and increased “hook-up” visibility. 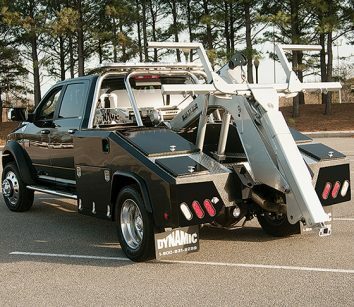 Call 800-831-9299 or visit www.dynamictow.com. Jerr-Dan’s MPL series offers smart design and unrelenting performance with a variety of options. 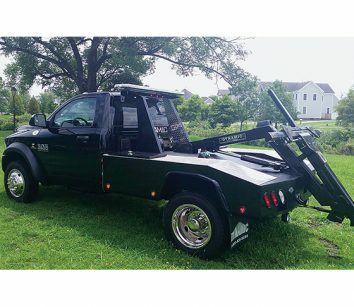 Available in both steel and aluminum bodies with optional 8-ton recovery boom. Negative tilt feature on the wheel-lift is ideal for accessing vehicles in parking ramps. 4-1/2” high hydraulic crossbar with 4,000-lb. capacity assures clearance for low profile vehicles. 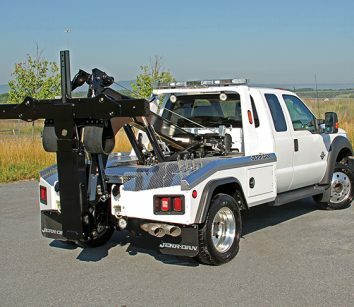 Jerr-Dan’s patented underlift Level Stop Assist System gets you set up quickly. Jerr-Dan’s patented LOCKLINK mechanism locks wheel retaining arms in the full tire engaged position. Call 800-926-9666 or visit www.jerrdan.com.